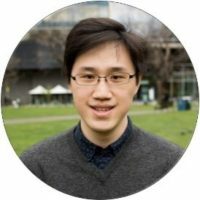 Michael Wei is the founder of the Australian Cancer and Health Sciences Competition, an initiative that aims to improve cancer and health literacy in secondary schools. He is also a medical student at the University of Melbourne and an alumnus of the Young Social Pioneers program run by the Foundation of Youth Australia. Being a young person in modern Australia is hard. The transition into adulthood is a critical period of social and emotional development marked by the achievement of important milestones such as completing formal education, moving out of home, joining the workforce, getting married, having children and gaining economic independence. It is a time filled with excitement and opportunity. However, for today’s youth, their hunger for the opportunities of adulthood is met with a smorgasbord of concerns. With youth unemployability, low wages, mounting tuition fees, and a crowded housing market – this golden time has become a period of trepidation and increasing uncertainty. As a population, when we think of poor health, the young and healthy are the last to reach our minds. However, in the context of the pressures of the contemporary environment, there is now an increasing appreciation that young people are particularly susceptible to a group of conditions collectively known as mental health disorders. Conditions such as anxiety, depression, major eating disorders and substance abuse are estimated to affect as many as 1 in 4 young Australians. Not only do young people have the highest prevalence of mental illness than any other age group, they are also more reluctant to access health services with roughly 75% of young Australians affected by mental illness choosing not to access services. These compelling figures highlight the unmet need for stronger efforts in addressing youth mental health. Mental health came out on top over housing affordability and getting a job with 38% of respondents identifying it as the most important issue currently faced by young Australians. The millennials have often been portrayed by media as the lazy generation – lambasted for being narcissistic, entitled and apathetic about the future. Yet, when it comes to mental health awareness, our young Australians certainly paint a different picture. Earlier this year, Triple J launched their What’s Up in Your World survey asking over 9,000 Australians aged between 18-29 years old on what they believe was the most pressing issue affecting young people. Mental health came out on top over housing affordability and getting a job with 38% of respondents identifying it as the most important issue currently faced by young Australians.Similarly, the Annual Youth Survey conducted by Mission Australia on over 24,000 young people aged 15-19 years old consistently shows physical and mental health to be amongst the top priorities of young Australians, with areas such as coping with stress, body image and depression being identified as leading areas of personal concern. These survey outcomes signify a call for help from young Australians to make youth mental health a national priority. Why should we care about youth health and wellbeing? Despite increases in awareness and advances in research, mental illness in young people is still downplayed and commonly ascribed to the emotional turbulence of the stormy, adolescent years. However, youth mental illness is very real and can have profound, enduring social and economic ramifications if left unaddressed. Consequences of youth mental illness such as isolation from social groups, estrangement from family, missed career opportunities, and self-harm can persist for many years after recovery. From an economic perspective, a 2015 report by ReachOut Australia and Ernst & Young estimated that poor mental health in young Australians costs the government at least $6.29 billion annually in direct health costs, welfare payments, and loss of productivity. Young Australians today are the next generation of our workforce and it would make sense for us to be invested in their healthy and productive futures. The notion of consumer participation and co-development has played a key role in the planning and implementation of many successful public health programs. In addressing youth mental health, consumer participation is pivotal. Aside from the fact that youth and adult mental illnesses are often quite distinct, there are many youth-specific barriers that impede their access to mental health services. Most young people are quite inexperienced with navigating the healthcare system and may have reservations tapping into mental health services alone. As young people are heavy users of technology, the digital era has also changed the way they engage with the healthcare system. Such reservations may be further complicated by concerns about confidentiality, trivialisation of their own condition, feelings of embarrassment around the stigma of mental health and unclear expectations on what these services can offer. As young people are heavy users of technology, the digital era has also changed the way they engage with the healthcare system. These factors highlight the importance of listening to the voices of our youth in developing mental health services that are acceptable and youth-friendly. How do we involve young people? Most importantly, it is critical we ensure that the voices of young Australians are heard and valued and demonstrate to young people that we are listening. It sends a message that their ideas can contribute to making the world a better place. In doing so, we empower young people to become advocates for their own health.